St. Michael Archangel (Indiana Law Enforcement Memorial) | Just Shooting Memories! Situated just outside the Indiana capital building is sacred ground to a group of public safety. 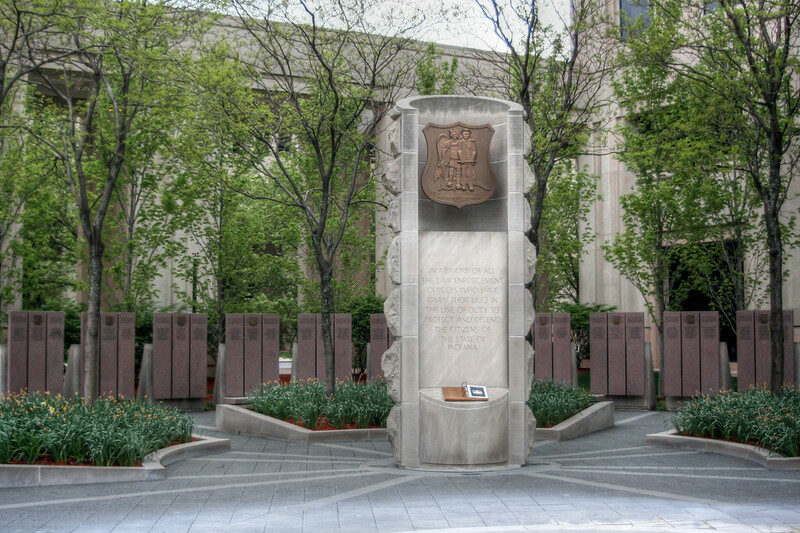 This is the location of the Indiana Law Enforcement Memorial. Inscribed on the columns behind the main monument are the names of all the officers who have given their lives in the line of duty. Stepping into this circle, I seemed to be surrounded by a quiet, even though just a short way away is the center of a bustling city. It is a sobering moment to spend inside this circle of heroes.